I spotted this highlighter on Instagram and loved the design (I'm such a sucker for pretty things). 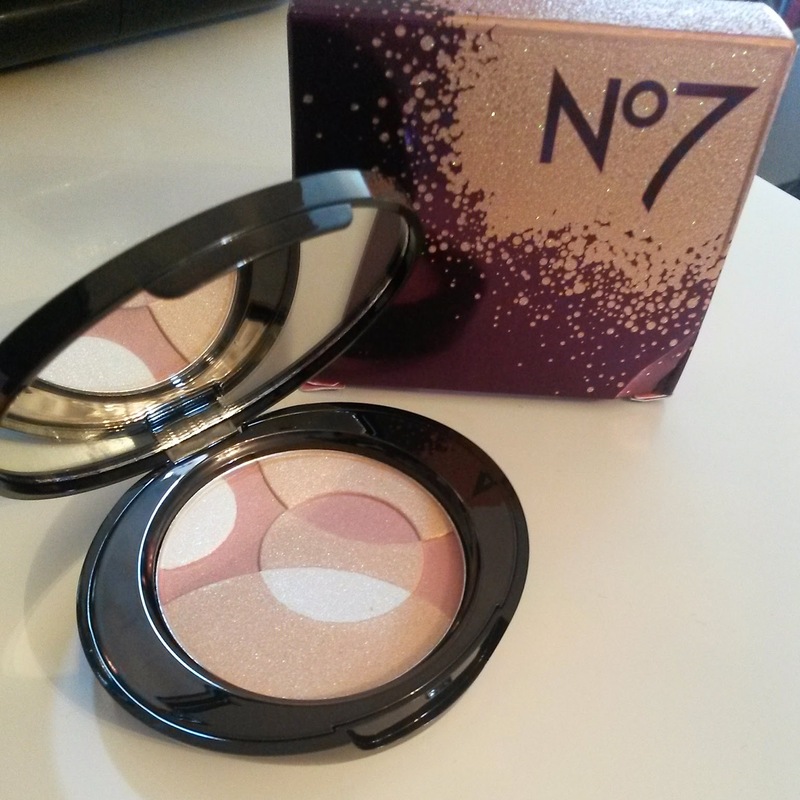 I initially thought it was a more expensive brand, so I was really excited when I found out that it was from Boots No 7 range. I really wish I could remember who posted the pic, to say thank you! I bought it from Boots during their 3 for 2 offer yay (which I believe is still running 18/11/14). If you've read my previous posts you'll know that I LOVE highlighters. I was especially excited to try this one as it's a powder. I generally find powder products easier to use, and as all of my other highlighters are liquids and creams, I thought 'I neeeeed to add this to my collection'. 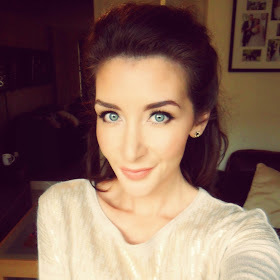 I dived right in, and swirled my blusher brush over the whole pan, and I applied it to to the top of my cheeks. The finish is very soft so I actually applied extra to make sure that it showed up clearly on my photographs. I also dabbed the tip of my finger over the silver highlighter shade, and applied it to my brow-bones. Although this is a glittery product, it's a lot more subtle than my other highlighters (which I put down to being a powder - and easy to blend). The three shades make it versatile (I'm seeing eyeshadow potential here), plus it's just a very pretty product - I'm a marketing persons dream - totally bold over by cute design and packaging! 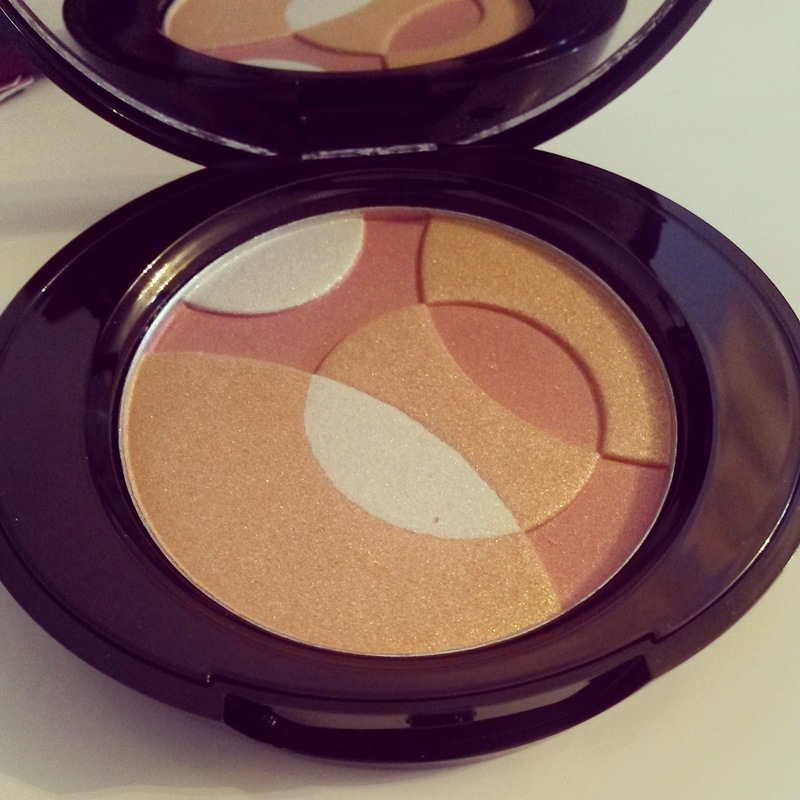 This is perfect for the Christmas season, and also good for those who are new to highlighters, or just want a little bit of shimmer.